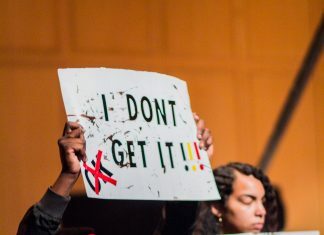 Plans are underway for a new Center for Diversity and Inclusion on campus, which will be a combined space for the Association of African American Students and Dorothy Brown Cultural Resource Center to be completed by August. President Mark McCoy announced the new space, that will be funded by Justin and Darrianne Christian ’95, in an email last week. Justin Christian serves on the Board of Trustees, which has been discussing diversity and inclusion initiatives for quite some time, according to President McCoy. “It began with the idea of trying to renovate and improve the AAAS house, and it evolved to a center for diversity and inclusion which would include Dorothy Brown and AAAS,” said President McCoy after articulating Christian’s excitement and interest in the project. The new space will provide its students with resources such as study rooms, a kitchen, and a common space for students to convene. “We imagine it as being a great meeting space, a great coming together space,” President McCoy said. This center, unlike other common spaces on campus, embraces the historic goals of the AAAS and Dorothy Brown. “I think that these groups have a historical mission,” President McCoy said. “So this is dedicated to fulfilling that mission and to providing that opportunity”. Student body president, senior Claire Halffield shares why she believes the combined space will be beneficial. “Housing all of those departments into one spot instead of having it separated between the CRC which is currently in the old fraternity house, and having some of the services for international students in Reese, will make the movements for people to embrace diversity and work on inclusion more intersectional,” Halffield said. Both Halffield and president of AAAS, Shirley Tandy, agree that our student body occasionally struggles with embracing diversity. “There are plenty of people who have learned to embrace diversity and I think that happens,” Halffield said, “but I don’t think everyone has taken the opportunity to do so.” This new facility will be constructed with the hopes of improving the community on our campus. President McCoy reported that he has received completely positive reactions from students, parents, faculty, and alumni. Tandy, however, shares her concern that some students are unhappy with the plans for the new space. “Instead of giving Dorothy Brown and AAAS new houses,” Tandy said, “they made it a combined center.” She clarifies that AAAS and Dorothy Brown are technically different houses, and some students wanted to maintain separate spaces. The Sigma Alpha Epsilon house is current accommodating Dorothy Brown Cultural Resource Center. 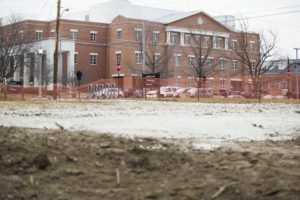 President McCoy explained that DePauw was just leasing the building for the year, and SAE intends to return to our campus at some point in the future.